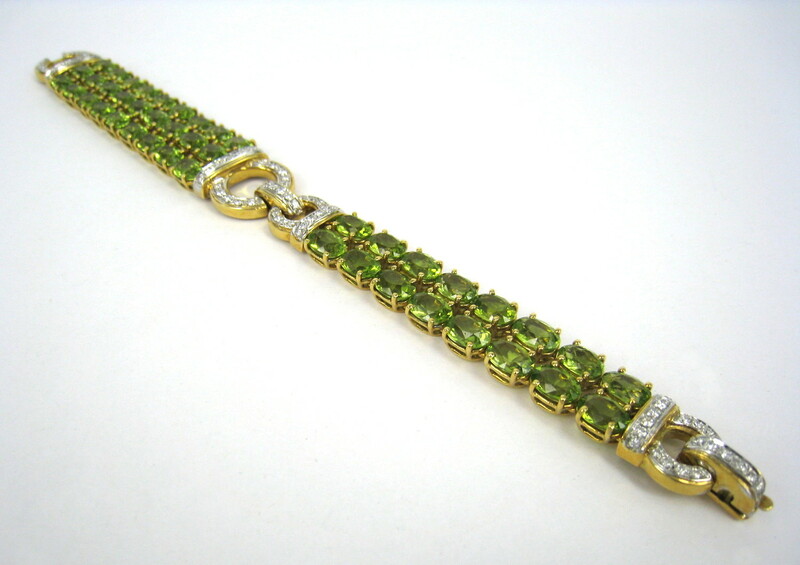 This luxury 18K gold peridot bracelet comes with 43 peridot gemstones together with fine quality diamonds. The vivid green peridot stones weigh around 1 carat each (43 carats peridot in total), and the diamonds weigh approximately 1.50 carats in total. The peridot bracelet is hand made with many fine details. The jewel weighs 49.7 grams. It is 7 inches long and the widest point measures ¾ inches.